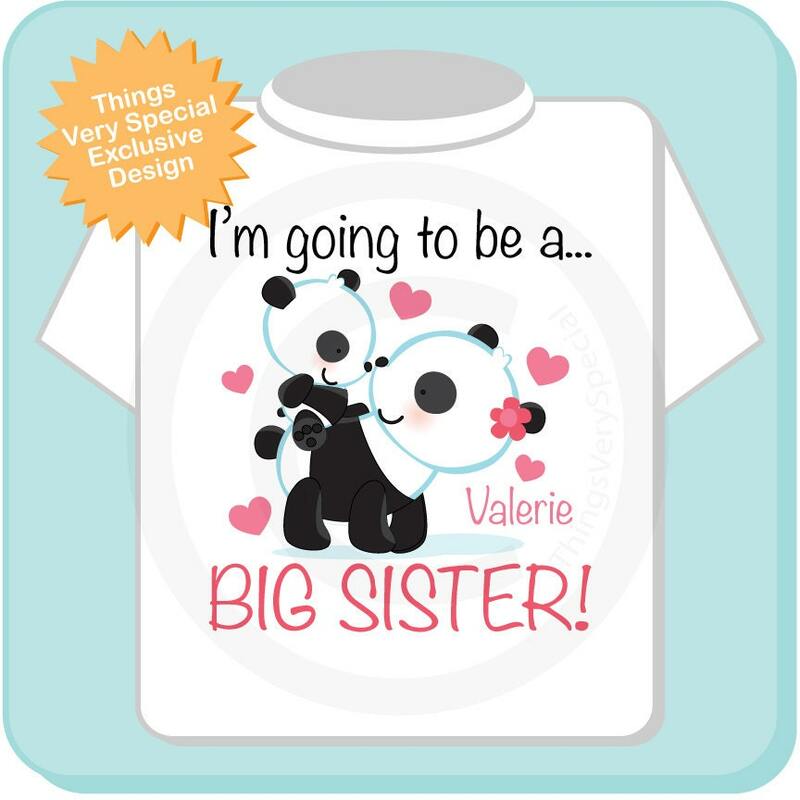 Super cute Personalized Big Sister tee shirt with awesome panda bear big sister and little brother or unknown baby with her. loved it! super quick shipping. I had this shirt customized for what I needed and it was done beautifully. 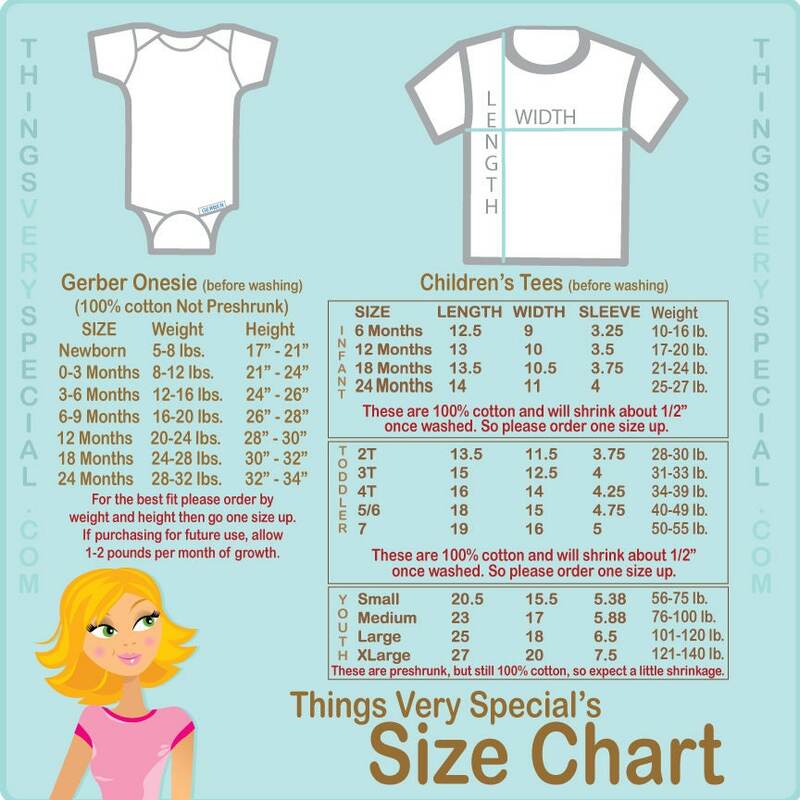 The design is so cute, and comes with directions for further care to preserve the shirt. 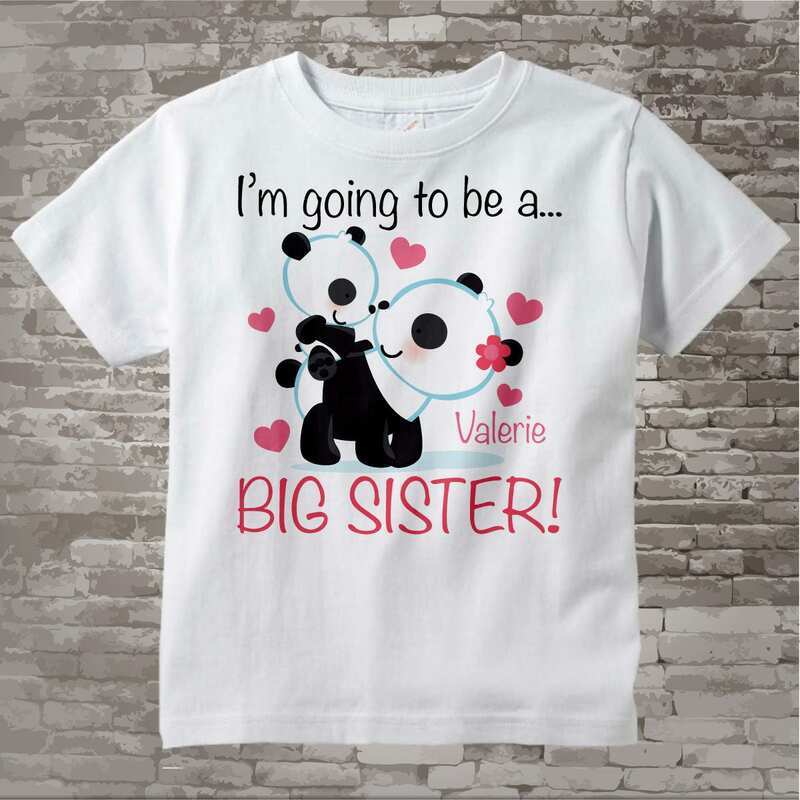 The future big brother getting this shirt will love it. Thank you!